In addition to announcing what factories it will be closing, today GM announced that a whole bunch of its cars –even the big ones with big promotional pushes – are dead in the water. 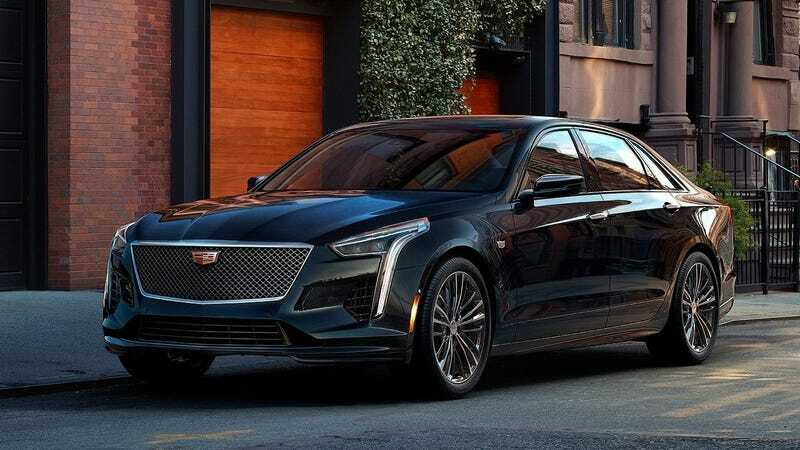 Included are many models the company claimed were ready to take on the best in the world, including the Cadillac CT6, the company’s flagship luxury sedan. UPDATE: Not in China, at least. Much of today’s closures are seen in the context of GM having to retool for the future, but I’m old enough to remember that this is exactly how GM pitched the Volt in the first place. From claiming 230 MPG to calling its hybrid design a pure electric vehicle, the Volt was meant to leapfrog the Prius and lead GM ahead. We already knew that the CT6 Hybrid was going to die next year. GM’s official media sheet released today announced that the CT6 is out as of March. We have reached out to Cadillac if this sheet means that only the hybrid is going out, but Cadillac has not responded to our request for comment. We will update if we hear back. Update, Jan. 18, 2019: Cadillac and GM now claim that they will find away to continue sale of the CT6 in the U.S., either by creating new U.S. production plans or by importing from China, which the company admits is the “least-preferred” option. You can read more about it here. Update, Nov. 27, 2018: Cadillac did indeed get back to us to confirm that though the CT6 is dying, that won’t stop it from squeezing in production of its upcoming “Blackwing” twin-turbo V8 and accompanying CT6-V model. GM lavished praise on the CT6 when it came out, touting world-class chassis design with lightweight aluminum. Anyone who drove one wondered why such a good design could get such a basic interior, and wondered who would buy one. This news comes just a number of months since Cadillac’s boss Johan de Nysschen swore that there were no plans to axe the CT6. Of course, not long after that announcement was made, Johan was axed himself. I have not driven the Chevy Cruze, but my boss Patrick George has and attests that it’s a Fine Car, but even then it’s not wildly better than the competition. This has been GM’s bugbear ever since Saturn debuted in the 1980s. Remember When Ronald Reagan Drove The First Saturn Prototype Back In 1984? Buick also fashioned itself as in something of a renaissance, with new trim to make the LaCrosse a proper luxury car. It doesn’t take a lot of thought to wonder why this luxury car wasn’t offered with luxury car specs in the first place. I remember when the current-gen Impala came out and my colleagues praised its roomy interior and good ride. Apparently that wasn’t enough to dissuade anyone from just buying a crossover instead. I’d make a joke about there not being enough Uber drivers to support XTS production, but Uber drivers are more than smart enough to avoid the bulky Cadillac sedan and get either a crossover with more room or just get a Camry and not worry about reliability. It should also be noted that the XTS never struck anyone as worthy of the Cadillac name, being a front-wheel-drive/all-wheel-drive layout that has been around since 2012. We knew this was coming. It was no surprise. I didn’t realize that this was something still going on with GM, but the official GM press release states that with Oshawa closing, production on these trucks will end.